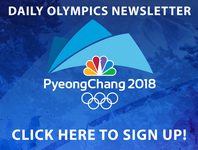 PYEONGCHANG, South Korea (AP) — American Mikaela Shiffrin has won gold in the women's giant slalom in her Pyeongchang Olympic debut. She used a hard-charging final run to win her second career Olympic gold medal. The 22-year-old American standout trailed by 0.20 seconds heading into the last run, but made up ground in no time by powering through ruts that had developed on the course. Shiffrin finished 0.39 seconds ahead of Norway's Ragnhild Mowinckel at Yongpyong Alpine Center. Federica Brignone of Italy captured bronze.